Tibetan Reiki Master, Kundalini Reiki Master, Advanced Kundalini Reiki Practitioner & Access Bars Practitioner. Payment of your True Balance Reiki treatment is available by direct deposit prior to your appointment or payment by cash is required at your appointment. Gift Vouchers are available for all treatments. T & C apply*. Please contact True Balance Reiki to arrange for a beautiful personalised Gift Voucher to be made just for you. Distance reiki treatments are a fantastic option for people, who may be unable to be physically present for a reiki treatment due to distance, ill health, injury or busy lifestyles. Reiki heals & balances just as effectively when used via the distance method as when in person. All you are required to do is arrange a suitable time when you can spend 30 minutes sitting or laying quietly, but if that is not possible the reiki can be sent to you at any time and will flow to you when you are ready to receive it. *The "top up" session is only recommended for clients of True Balance Reiki who have been having regular reiki treatments and require a "top up" between longer sessions. 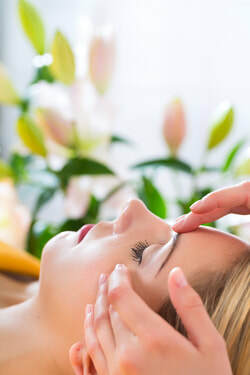 True Balance Reiki also offers a 15% discount on your next 1 hour or 1.5 hour Reiki or Bars treatment when you refer a friend to True Balance Reiki and they complete a 1 hour or 1.5 hour Reiki or Bars treatment. This discount does not apply to the 30 minute "top up" or 30 minute distance treatment. At True Balance Reiki I incorporate crystals & tuning forks into the reiki sessions where required at no additional cost. Crystals & tuning forks are wonderful tools that assist in providing additional energy to cleanse and balance blocked energy pathways. Contact True Balance Reiki for more information or to make an appointment. Read True Balance Reiki client testimonials. ​*Gift voucher terms & conditions ~ Gift voucher must be presented at appointment or the gift voucher will be void. One cancellation 24hrs prior to your appointment will be accepted, any further cancellations will void voucher. Gift voucher must be used before the expiry date, gift vouchers past the expiry date will be void. Entire value of gift voucher must be used in one transaction, voucher can not be split & no refunds given. Voucher can not be exchanged for money. Voucher can not be used in conjunction with any other offer or discount unless specified. True Balance Reiki is located in Strathalbyn, South Australia. of any prescribed medications or doctors advice. Always consult your doctor if you have any medical concerns. All information on this website is general and no specific outcomes are guaranteed. This website & all associated services are not intended for or available to any persons located within the European Union.